The models open at The Enclave at Waverly Park, of course! 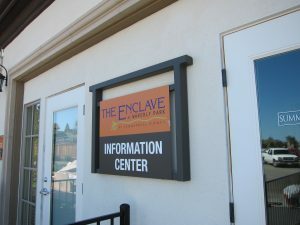 This week the installers arrived to move furniture and accessories into the new model homes at The Enclave at Waverly Park in Mountain View. Â We can’t wait for the Model Grand Opening on Saturday, April 16th at 10am! Our good friends atÂ Ryan Young Interiors created the inspired interiors for the model homes with a lot of help from our very own Tad Holland. Â Looking for ways to enhance your home? Â Be sure to check out theÂ recent post on our blog from Ryan Young! A photo of the new information center, click to view more photos from installation.